For more great information on whale watching on the Coffs Coast please see below, this is sourced from. The Coffs Coast Website… Click Here. Humpback whales cruise past Coffs Coast on their way north in early winter and, after giving birth, the whales and their calves make their way back south in spring. The best places to see them are Woolgoolga Whale Watch Headland, one of the best and most beautiful vantage points on the coast, Muttonbird Island, at the Coffs’ harbour itself – a convenient and comfortable place; Look At Me Now Headland, at Emerald Beach – also famous for its resident kangaroos and Sawtell Headland, a wonderful spot for a picnic while watching the whales. 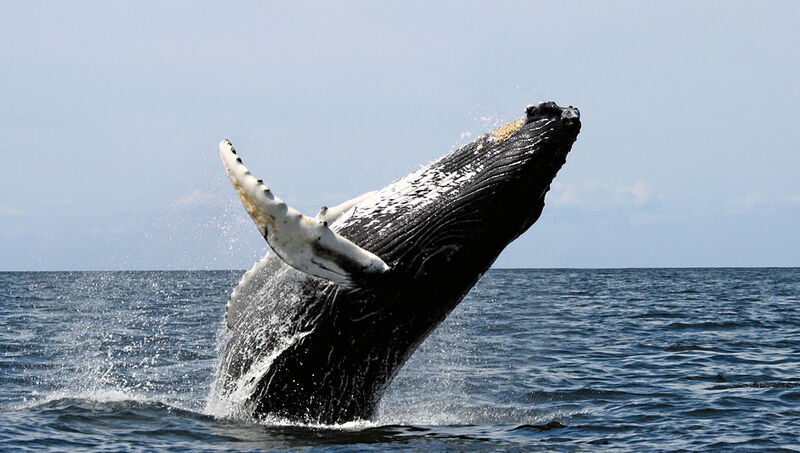 Another excellent experience is to see the whales up-close on board one of the professional whale-watching cruises. If you’re with a group, why not charter a whale-watching adventure? Whale-watching cruises take about two to two-and-a-half hours, and leave the Coffs Harbour Marina daily between late May and late November. The thrill of seeing a pod of humpback whales, each up to 16m in length, launching out of the water, or waving their pectoral fins and slapping their tails, can be a life-changing experience! Make sure you download the ‘Wild About Whales’ app, register your sightings and share your images on social media using our local hashtag#coffs4whales. For more information about how to experience whale watching on Coffs Coast contact the Coffs Coast Visitor Information Centre on 1300 369 070.